The long beach of 'Cabedelo' opposite Viana do Castelo is probably North Portugal's most popular spot – and certainly one of the best. With its thermal turbo-boost, the Nortada regularly reaches 25 knots so it's often busy on the water. Cross to cross-offshore wind combined with more than 2m of W swell generates classy waves over a hard sand seabed. However, wave quality and power recedes with the tide and it tends to close out when it's big. 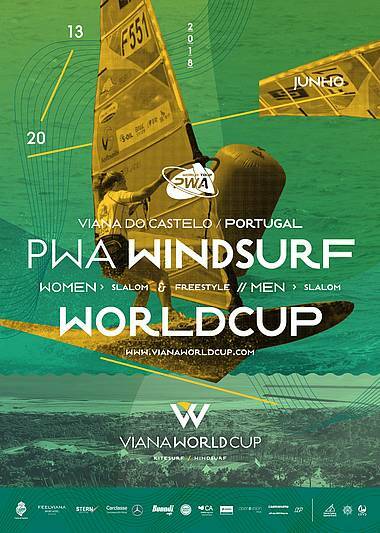 Viana is often just a freeride area though – the water's super-flat by the large harbour wall, and in summer the waves often disappear further south too. Parking is behind the breakwater, about 400m from the water – windsurfers tend to launch further south at the campsite. There a few rocks in the water, so watch your fins. - You can see a list of the slalom sailors registered equipment here.